The Women’s Agricultural Network has a rotating slate of bloggers who bring you a variety of perspectives on topics pertaining to women, food, and agriculture. 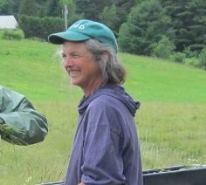 Jennifer Colby is Pasture Program Coordinator at the UVM Center for Sustainable Agriculture. 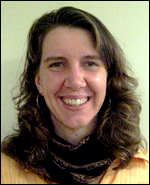 Jenn joined the Center in 2005, after ten years working in organic dairy and environmental project management. She strives on a daily basis to blend her passions for grass-based farming, home-grown BBQ, community development, martial arts, music and pottery. She raises sheep, poultry and pigs in East Randolph, and has a shared farming arrangement with family in Randolph Center. Jenn has a B.S. in Animal Science from UVM and was awarded an MS in Community Development and Applied Economics in December 2011 after working on a thesis focusing on the impacts of grass-based livestock farms on Vermont’s quality of life. 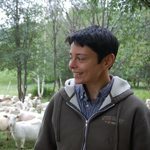 Kimberly Hagen is Pasture Program Outreach Coordinator at the UVM Center for Sustainable Agriculture, where she provide technical assistance and support for grass-based farms — those already immersed in the practices, those planning to transition, and everything in between. Kimberly spent several years working on all kinds of farms around the world, finally returning to Vermont where she has been raising sheep, chickens, horses and the occasional cow, on her own grass-based farm since 1987. Kimberly has also provided agricultural education and outreach for NOFA to communities and schools. With a background and MS in Environmental Biology from Antioch New England, Kimberly thoroughly enjoys the problem solving of bringing farms to a more balanced relationship with the natural systems around them. Debra Heleba has been the Vermont coordinator for the Northeast Sustainable Agriculture Research and Education (NE-SARE) Program program since 2007, where she provides outreach about this USDA competitive grants program as well as organizes train-the-trainer activities on sustainable agriculture. Deb has been at the University of Vermont Extension since 1990, where she has worked on a number of research and extension projects, among them tree fruit research and family farm succession education. 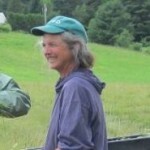 She was a founding staff member of the Women’s Agricultural Network and University of Vermont Center for Sustainable Agriculture, where she developed new and beginning farmer programming, including Land Link Vermont. In 2008 she joined the staff of UVM Extension’s NW Crops and Soils Team where she coordinates the certified organic dairy content for eOrganic, a national effort to provide online information and resources to farmers, educators, and the public. Suzy Hodgson based in UVM Extension’s Center for Sustainable Agriculture works at the intersection of agriculture, environment, climate, and economics where she develops case studies and farmer profiles with the USDA Climate Hub, the New Farmer Project, and the Women’s Agricultural Network. 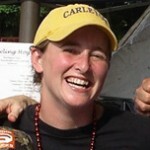 Suzy has a background in environmental management, energy, small farm business development, and economics. She worked for 15 years in the UK at University of Surrey and then Carbon Clear, Ltd, on life cycle assessment, sustainable management and carbon footprinting. Beth Holtzman, outreach education coordinator for the Women’s Agricultural Network and the Ne w Farmer Project. 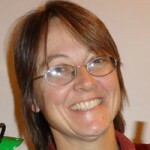 An instructor for WAgN beginning farmer classes and workshops, Beth has been working with farmers on business planning and marketing since 2004, and has been involved in sustainable agriculture outreach, education and advocacy since 1992. Beth can often be found outdoors with her family — skis or snowshoes in the winter, or riding, hiking or in the garden in the summer. 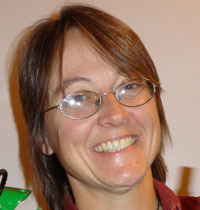 Mary Peabody, director of the Women’s Agricultural Network, as well as the UVM Extension Specialist in Community Resources and Economic Development. She is a regular instructor for beginning farmer classes and a variety of workshop topics on business planning, marketing and labor management. She also offers several online classes each year. Mary’s passions include growing things—both plants and animals, learning new skills, traveling, and teaching. Kirsten Workman, UVM Extension agronomy outreach professional with the Champlain Valley Crop, Soil & Pasture Team, works with farmers to implement practices to improve crop production and protect water quality. She started her career in Washington State working for the Mason Conservation District and Washington State University Extension. After 10 years of working with West Coast farmers, she joined the UVM Extension staff in 2011, and hopes to provide practical information that farmers value. She helps farmers prepare and implement practical and comprehensive nutrient management plans. She also helps farmers access cost-share funding to implement Best Management Practices on their farms. Kirsten lives in the Winooski watershed with her husband and two young children, Johnny & Ruby. She enjoys exploring her new home state of Vermont with her family and is excited to have access to some prime Vermont farmland, where she can get some larger livestock than she was able to raise in the temperate rainforest of Washington State. Linda Berlin has been with the University of Vermont since 1992, when she began coordinating a federally funded nutrition education program for underserved families (“EFNEP”). 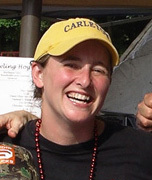 In 1999, she moved into a faculty position with the UVM Department of Nutrition and Food Sciences, at which time her role shifted to include broader involvement in food and food systems issues. 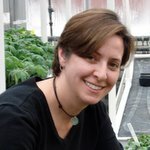 In March 2009 she became half-time Director of the UVM Center for Sustainable Agriculture, and also continues as an Extension faculty member focused on food systems. Liz Kenton is coordinator of the Youth Agriculture Program of University of Vermont Extension 4-H, which helps young people build life and job skills through hands-on learning about food, nutrition and agriculture. Each year, the program works with hundreds of youth and donates thousands of pounds of fresh produce from its farm to local food shelves every year. Kristen Mullins coordinates the UVM Extension Ground Work Project, preparing educators, technical assistance providers and farmer educators participants to deliver mechanization and tractor education to beginning farmers, farm workers and apprentices. 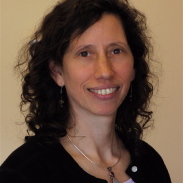 Kristen has been developing and implementing community-based educational programs for over 20 years. Her work with UVM Extension included curricula and resource development for the Youth Farm Safety Project. Mullins previously worked for Vermont Works for Women where she was responsible for directing workforce development programs for women and girls. Londa Nwadike, was UVM Extension Food Safety Specialist from 2010 to 2013, working with food processors throughout Vermont to improve the safety of their products. Currently, she serves as Extension Consumer Food Safety Specialist for both Kansas and Missouri. Londa grew up on a diversified family farm in eastern South Dakota. She worked in food safety for the Food and Agriculture Organization of the United Nations (FAO), based in Rome, Italy for 5 years, and also has extensive experience living and working in Africa. Jessie Schmidt, program support coordinator for the New Farmer Project and other community and agriculture related programs at UVM Extension. Jessie spent most of her youth drea ming of becoming a farmer and all of her adult life supporting the efforts of farmers. For the last 8 years, Jessie managed the Capital City Farmers Market in Montpelier. Previous to that she worked on farms, developed retail markets for farmers, and administered education and certification programs for organic farmers. At home, Jessie raises produce, chicken, eggs and pork for her family and plays with her kids. Ali Zipparo, coordinator of Youth IDA Program for the Center for Sustainable Agriculture. Ali She comes to UVM Extension with wide-ranging experience in Vermont agriculture and policy, including work with the Farm to Plate initiative and the Vermont Housing and Conservation Board’s Farm Viability program. Ali is passionate about agricultural policy issues.